Nothing brings elegance and class to a restaurant, hotel, or office space quite like an aquarium. 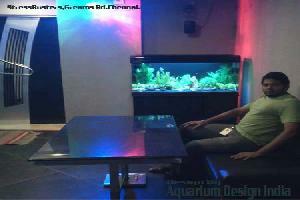 Aquarium Design India of Chennai specializes in full custom aquarium design for any commercial space. We incorporate your aquarium into your new or existing design so that it becomes part of the room, not just an item in it. Aquarium can only be described as a dining attraction. basic sea food great flavour with Aquarium is what it is about. That's why people come. And why they come back. The entertainment value comes First, To the great delight of both children and adults. Keywords : Commercial Aquarium, Hotel Aquarium manufacturer in chennai,Restourent aquarium Designer chennai.